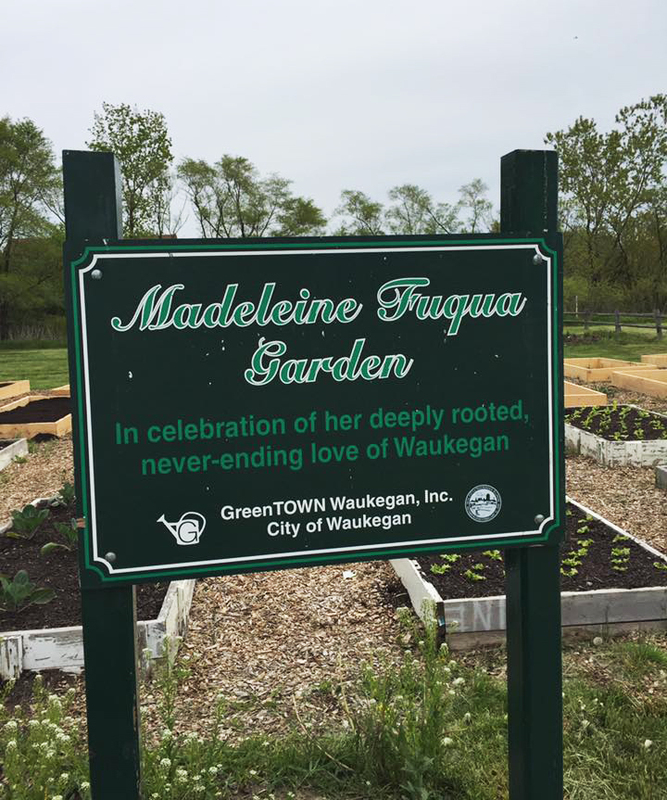 Named after the ever inspirational and passionate Madeleine Fuqua, the Madeleine Fuqua Garden is currently located at Henry Pfau Callahan Park in Waukegan. It is GreenTown Waukegan's flagship project that focuses on taking a more "aggressive" approach to tackling the food insecurity issue in Waukegan. The Madeleine Fuqua Garden collaborates with the Community Christian Church of Lake County (CCCLC) Food Pantry, the Waukegan Parks District, and other non profits to produce fresh and quality produce. Food grow at the garden is harvested and immediately donated to the CCCLC Food Pantry. Within a year in its new location, the garden was able to produce 800 lbs with only 23 raised beds. This upcoming season, the goal is to produce 2000lbs (1 Ton) of fresh and quality produce with the expansion to 40 beds! Who was Madeleine Fuqua Garden? "Madeleine was a very strong force. She was a strong figure in the City of Waukegan. "